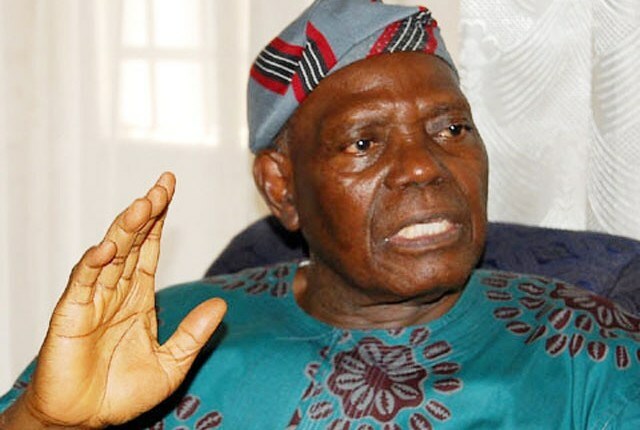 1999 constitution is Nigeria’s greatest misadventure – Bisi Akande – Royal Times of Nigeria. Former Chairman of the All Progressives Congress (APC), Bisi Akande has said the 1999 constitution is Nigeria’s greatest misadventure. The APC chieftain said this on Tuesday while speaking at the presentation of a book entitled ‘Nigeria: The path we refused to take’, written by Basorun Seinde Arogbofa. Akande said, “The piecemeal adjustments to the 1999 constitution (as amended) will accelerate the de-amalgamation of Nigeria”. “Nigeria began as a controversial state of many nations. The 1999 Constitution is Nigeria’s greatest misadventure since Lugard’s amalgamation of 1914,”. “The constitution puts emphasis on spending rather than making money, thereby intensifying the battles for supremacy between the legislature and the executive while the judiciary is being corruptly tainted and discredited. “The constitution breeds and protects corrupt practices and criminal impunity in governance. The 1999 Constitution can never be beneficially reviewed and the ongoing piecemeal adjustments or amendments can only totally blot the essence of national values and accelerate the de-amalgamation of Nigeria.